The NEW Patent Pending Z-WIDE Efficiency fan brush was created for quicker and more even nail polish application to medium and large size nails. The Z-WIDE brush contains 60% more bristles than the Zoya Z-Classic precision brush which is the professional default brush that comes with Zoya Nail Polish and Treatment. Bonus ? 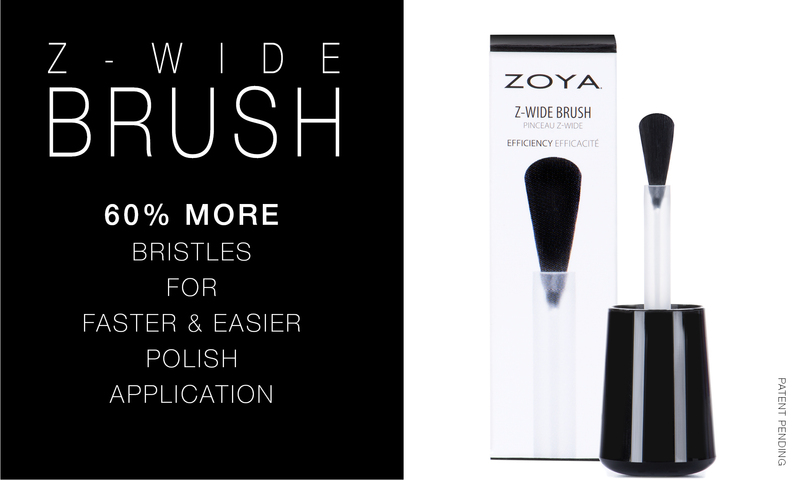 the new Z-WIDE brush fits all Zoya 0.5oz bottles so switching is easy! Remove existing combined cap and brush from your Zoya bottle and replace with new Z-Wide Efficiency brush. Wait 5 minutes before applying to nail.